In August 2008, Dawn L. Ferguson, the founder and director of the Children Singing Peace Foundation, came to Urubamba to teach her song of peace in the native language of Quechua. The project lasted over four weeks, working with two grammar schools and hundreds of bright-eyed students. See below to read her own account as published in her organization’s newsletter. 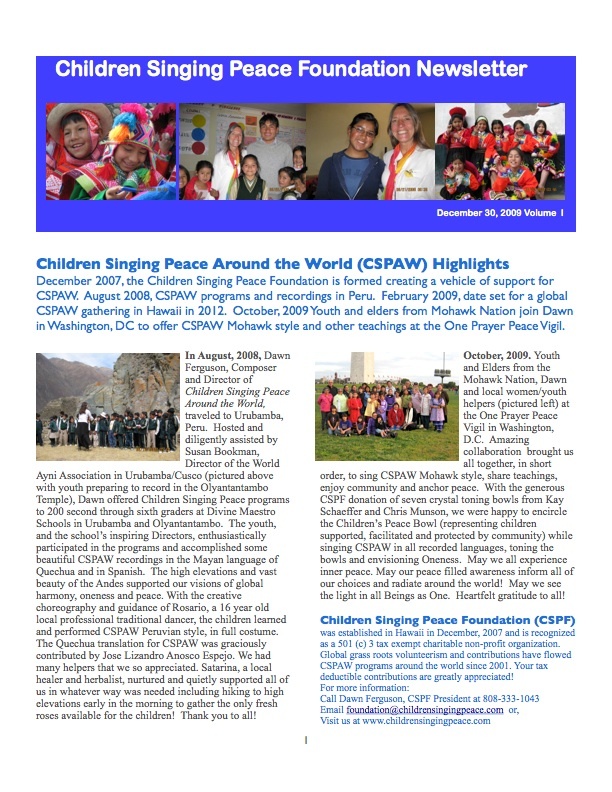 Also, visit her website at www.childrensingingpeace.org for more information about her projects.